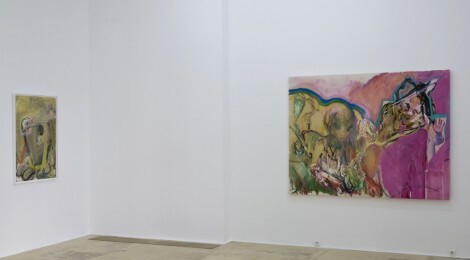 Rebecca Camhi gallery is happy to present the third solo show of Rita Ackermann, fifteen years after her first exhibition which inaugurated the gallery’s function. Rita Ackermann was born in Hungary in 1968 and studied at the Budapest Academy of Arts. She now lives and works in New York. Her work has been included in the 2008 Whitney Biennial and in group exhibitions at MocA in Miami, at the Montreal Museum of Fine Arts in Montreal and at the Centre Pompidou in Paris. She has also presented her work in solo exhibitions in important galleries in Europe, U.S.A and Japan.